Have you wondered what life on the Princeton campus is like now? Have you not been back to see for yourself in a long while? This is the man that can bring you up to date on the What? When? Why? for almost anything you’re curious about. In his capacity as VP and Secretary, Robert serves as the senior advisor to the president of the university, supports the Board of Trustees, and oversees the alumni association, communications, community & regional affairs, government affairs, and public affairs offices. He earned his AB from Princeton in 1969, and his Masters from Montclair State University in 1971. 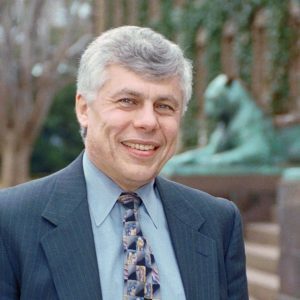 He’s been affiliated with Princeton since 1972, save a one-year leave of absence to serve as the Executive Assistant of the President of the Association of American Universities in Washington DC. To reserve your seat, either follow this link to the registration page, or email admin@princetonclub.org or call 216.694.3619.